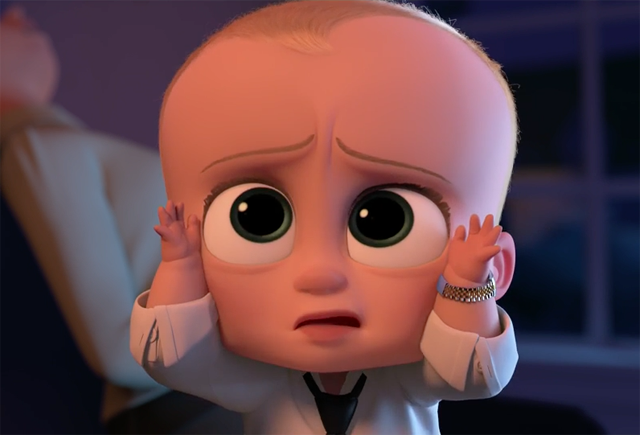 DreamWorks Animation and 20th Century Fox have debuted the first clip from Boss Baby, featuring the voice of Alec Baldwin. Check out the new Boss Baby clip in the player below! DreamWorks Animation and the director of Madagascar invite you to meet a most unusual baby. He wears a suit, speaks with the voice and wit of Alec Baldwin, and stars in the animated comedy, DreamWorks’ The Boss Baby. The Boss Baby is a hilariously universal story about how a new baby’s arrival impacts a family, told from the point of view of a delightfully unreliable narrator, a wildly-imaginative 7-year old named Tim. With a sly, heart-filled message about the importance of family, DreamWorks’ The Boss Baby is an authentic and broadly appealing original comedy for all ages. The voice cast also includes Steve Buscemi, Jimmy Kimmel, Lisa Kudrow and Miles Bakshi. The animated film is directed by Tom McGrath and written by Michael McCullers, based on the award-winning picture book by Marla Frazee. The Boss Baby is produced by Ramsey Ann Naito. The Boss Baby hits theaters on March 31, 2017. What do you think about the first Boss Baby clip? Let us know what you think in the comments.